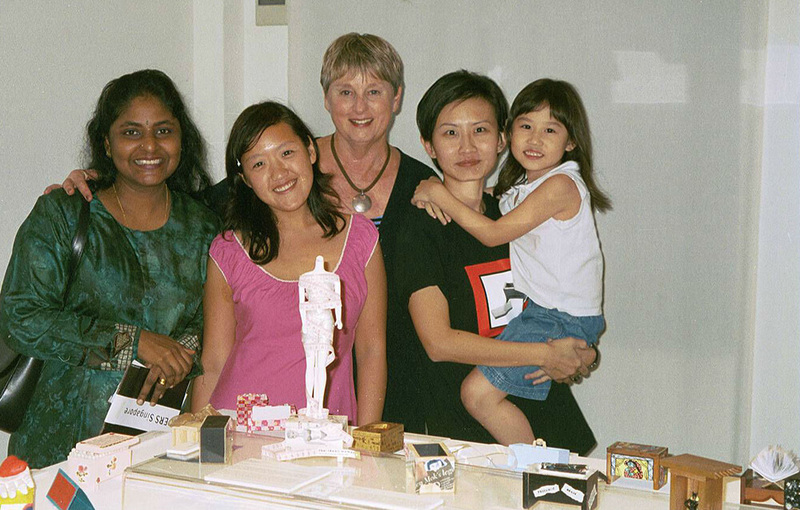 The women participants in Singapore created boxes in relation to a community, i.e. a collaboration with family, friends, a group of people, etc. The objective was to discover who women are and what women want in our particular society and context. Women first examined their personal identity and space, and second, related to their experience with the community, be it male or female. The community was engaged in the art making process, thus extending the collaborative nature of WBB. This process gave rise to a more comprehensive reflection of societal values, needs, wants and identity as a whole. This work seeks to explore and express the constraints faced by contemporary women who live in public housing apartments, also known as Housing Development Board (HDB) flats in Singapore. About 86% of Singaporeans are housed in these HDB flats. Like the vast majority, I, too live in a HDB flat and one of the personal constraints that I face is the lack of physical space. This inspires me to conceptualize the given wooden box as a block of HDB flats with many dwellers within. Each of the niches in the box represents a female dweller. 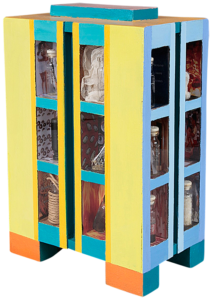 The different constraints faced, ranging from physical, emotional, mental, and social to religious realms, are reflected in the interior decoration of the units and the contents of the vials. Women from different phases in life; teenagers, singles, married with and without children, and retirees, were invited to participate in a survey, and their views are expressed collaboratively in this box. 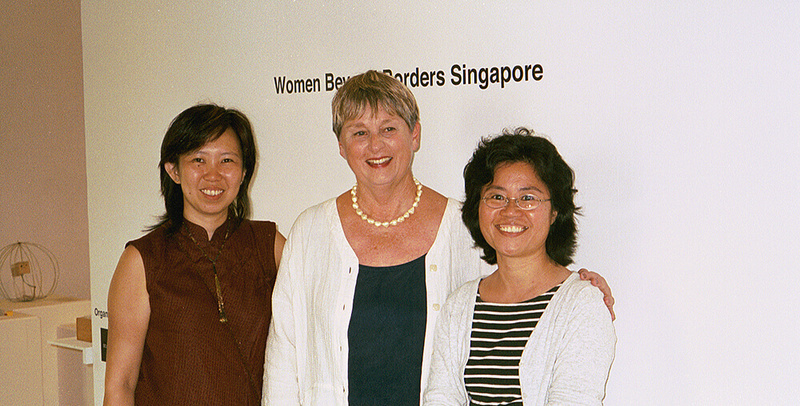 When Women Beyond Borders was shown in Singapore in 2001, the curators Joyce Fan and Susie Wong invited local artists to submit boxes that would interrogate individual identity in relation to a specific community – from as small as the family unit to as wide as the world. In response, several artists explored their experiences as a member of one of the many expatriate or minority sub-communities living in Singapore. Others reflected on the identity of women in contemporary society at large. One box by Prisca Ko was a collaborative box with 40 women, which reveals the constraints faced by women living in Block Housing. 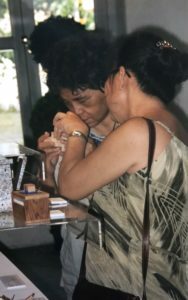 Another box depicted the mending of a mother and daughter relationship using a crochet needle and gold thread. The objective was to discover who women are and what women want in our particular society. We directed women artists into first, self-examining their identity and space, and second, in the course of this journey, relating that to their experience with the community. The WBB Exhibition in Singapore was held at Sculpture Square with an overflow of 125 new boxes. The Singapore exhibition consisted of three sections: a Curated Section featuring invited women artists, a Women’s Communities Section with participation from KK Women’s and Children’s Hospital, Association of Women for Action and Research (AWARE), the University Women’s Association of Singapore (UWAS) and the Singapore Council of Women Organization (SCWO) and an Open Section which feature creations by women from all walks of life. These boxes were shown alongside the WBB collection of international boxes. 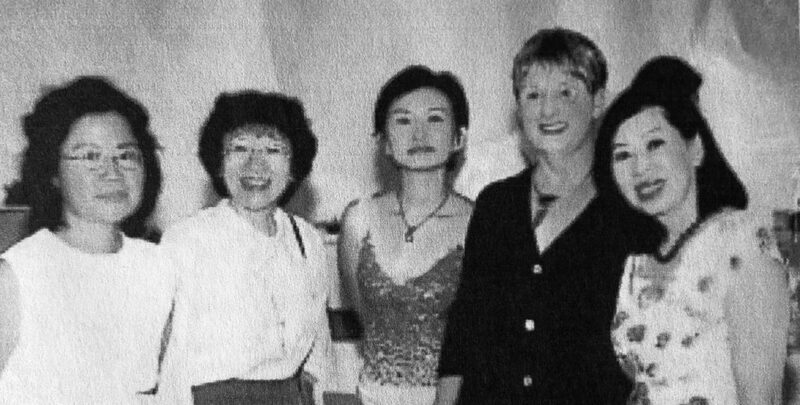 The first lady of Singapore, Madame Goh Chok Tong, was Guest-of-Honor. It’s utterly prosaic, this box, until it falls into the hands of the artists… at which point the box is transformed, exploded, expanded, shattered, sculpted, pasted, painted, and reborn into an expression of a woman’s identity. I find this concept very challenging although of course initially, I found the concept of Women Beyond Borders and the form (BOX) contradictory, as boxes inherently are about discreet entities/objects with their own definite boundaries, surfaces and edges etc. And these boundaries are walls in themselves, not just an imaginary line or flat paths on the soil dividing countries nor printed lines on the map. In other words, the whole notion of borders and liberating women from it contradicts the very form of the box given to every participant that say so disturbingly otherwise. My intention for the approach to producing a work for this project is to deal with this collision of concept and form. 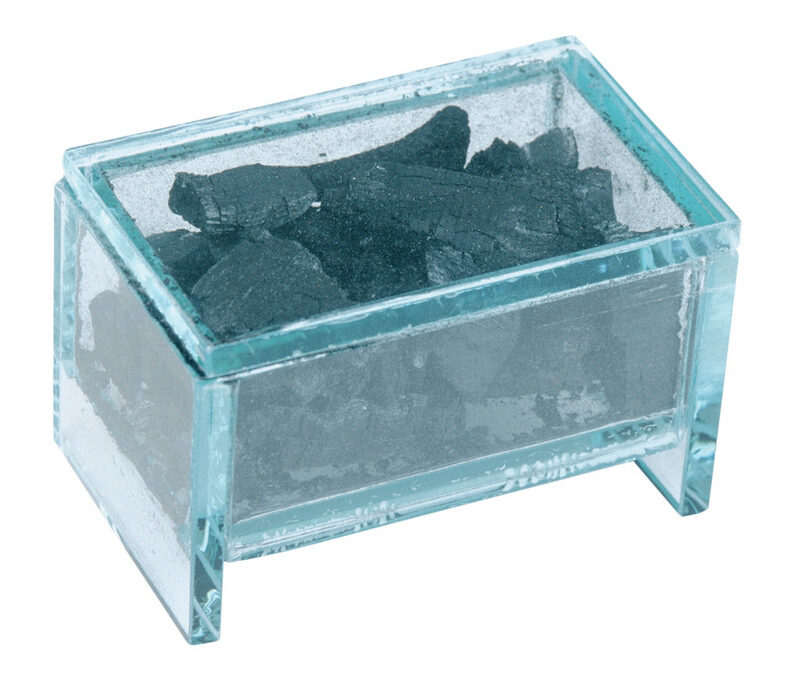 I have gathered a few women and men from the community I am with, to witness a cremation of this box, after which the ashes would be placed in a custom made replica of the box but it will be in cut glass. Death to borders–of course the glass box and its glass walls is practically a vitrine – to enshrine the diminishing of all borders that divide us.